A few clouds. Low 52F. Winds SSE at 5 to 10 mph..
A few clouds. Low 52F. Winds SSE at 5 to 10 mph. CHARLESTON -- Bill R. Shafer, 91, of Charleston died Monday (Jan. 7, 2019) at Hilltop Skilled Nursing and Rehabilitation Center. Arrangements are incomplete at Harper-Swickard Funeral Home. ARTHUR -- Bobby Doan, 73, of Arthur, died at 10:21 p.m. Sunday (Jan. 6, 2018) at OSF Sacred Heart of Mary Medical Center in Urbana. Arrangements are incomplete at Shrader Funeral Home in Arthur. PARIS -- Deloris Mae Hill, 79, of Paris, formerly of Martinsville, died Sunday morning (Jan. 6, 2019) at her residence. Arrangements are incomplete at Greenwell Funeral Home in Martinsville. WINDSOR -- Carol Ann Anderson, 83, of rural Windsor, Illinois passed away on Sunday, January 6, 2019 at her home. Carol Ann Ellison Anderson was born September 23, 1935, in Coles County, the daughter of Guy E. and Mary Elizabeth (Jones) Ellison. She married William Edmond Anderson on April 13, 1957. She was a farm wife, worked for the USDA and was a 4-H leader. Carol Ann was a lifetime member of the Shelby County Home Extension and was a member of the First United Methodist Church in Windsor. Surviving are her two sons: William Brian (Connie) Anderson and Guy Michael Anderson all of rural Windsor; two grandsons: Jeff (Pam) Anderson and John (Kathleen) Anderson all of rural Mattoon; six great-grandchildren; uncle, Robert Ellison; sister-in-law, Gladys (Robert) Anderson Marshall of Middletown, MD and several nieces, nephews and cousins. Preceding her in death were her parents, Guy E. and Mary Ellison; husband, William Edmond Anderson; one grandson and one great-grandson. Funeral services will be held at 12:00 p.m. on Tuesday, January 8, 2019 with Reverend Rena Whitcher officiating at Lovins-Lockart Funeral Home in Windsor. Burial will take place in Ash Grove Cemetery in rural Windsor. Visitation will be from 10:00 a.m. until the time of service at Lovins-Lockart Funeral Home in Windsor. Memorials may be made in Carol Ann's name to the First United Methodist Church Youth Group, 1200 Ohio Street, Windsor, Illinois 61957. Family and friends are invited to light a candle or share a story in Carol Ann's honor at www.lockartgreenfuneralhome.com. SULLIVAN -- Helen E. Spaugh, 98, of Sullivan passed away 8:05 a.m. Friday, January 4, 2019, at Mason Point, Sullivan. Funeral services will be held 11:00 a.m. Wednesday, January 9, 2019, at McMullin-Young Funeral Home, Sullivan, with Pastor Charliam Renner officiating. Visitation will be held an hour prior to the services at the funeral home. Burial will be in Greenhill Cemetery, Sullivan. Memorials may be made to the First United Methodist Church Building Fund in Sullivan. MATTOON -- Steven Junior Lee, age 48, of Stewardson passed away at 11:38 p.m. on Saturday, January 5, 2019 at his residence. Funeral Services honoring his life will begin at 3:00 p.m. on Wednesday, January 9, 2019 at Schilling Funeral Home. Burial will take place at a later date. Visitation for family and friends will be held from 1:00 p.m. until the time of the service on Wednesday at the funeral home. Steven was born on February 7, 1970 in Lebanon, TN the son of Steven Vincent Lee and Betty Jane (Heady) Mitchell. He married Carrie Ann Estermyer on July 17, 2004. Survivors include his loving wife, Carrie Lee; children, Gauge (Lacy) Miller-Lee, Brenna Flowers-Lee, Olivia Wilson-Lee and Steven Lee III; mother, Betty Jane (stepfather, Daniel) Mitchell; brothers and sisters, Candy (Bubba) Baker, Clifford (Beth) Lee, Jesse Lee, Crystal (Robert) Doss, John Schumbarger, Chasta Price and Nathan Mitchell; grandparents, “Granny Bunny” Emma Estermyer and Mary Ellen Pumphrey. Steven was preceded in death by his father, Steven Vincent Lee. Steven worked for Gra Ma Smiths Trucking Company. He enjoyed fishing, music, and his Camaro. Most of all, Steven loved spending time with his children. He will be greatly missed by all those who knew him. 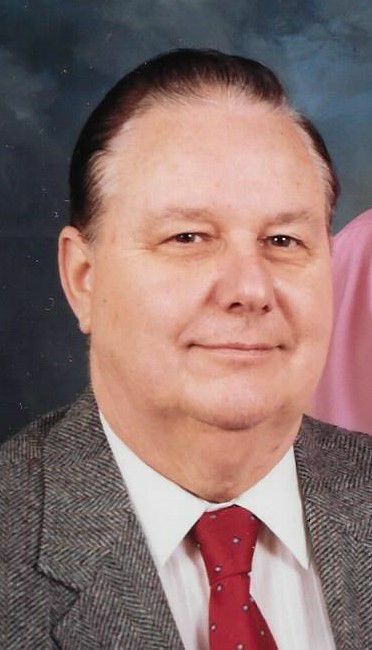 Memorial donations in his honor may be given to Schilling Funeral Home, 1301 Charleston Avenue, Mattoon, IL 61938 to assist with funeral expenses. Online condolences may be expressed at www.schillingfuneralhome.net or Schilling Funeral Home's Facebook page. STRASBURG -- Ruth S. Radloff, 88, of Katy, TX, formerly of Strasburg, IL, passed away at 4:00 a.m. Friday, November 30, 2018 in Carriage Inn of Katy, TX. Memorial services will be held at 11:00 a.m. on Saturday, January 12, 2019 in St. Paul's Lutheran Church in Strasburg, IL with Rev. Steven Becker officiating. Visitation will be from 10:00 – 11:00 a.m. at the church on Saturday. Burial will be at Grace Cemetery, Strasburg, IL. Memorials may be given to St. Paul's Lutheran Church, Strasburg, IL. Arrangements are by Howe and Yockey Funeral Home, Strasburg, IL. Ruth was born on October 22, 1930 in York, NE the daughter of Edward H. and Mary (Lenz) Stuckemeyer. She graduated from Strasburg High School in the Class of 1948. Ruth married Kermit Elwin Radloff on November 24, 1950 in Strasburg, IL. She continued her education at the University of Illinois, graduating in 1967 with Bronze Tablet honors. Ruth was a teacher in elementary schools in Park Forest and Mattoon, IL. She enjoyed her retirement with her loving husband, Kermit in Pharr, TX. He died on November 26, 2015. Ruth was a kind and loving wife, mother, and grandmother and will be greatly missed by her family and friends. She is survived by her sons Michael Radloff (Sue) of Charleston, IL and Steven Radloff (Patty) of Katy, TX; three grandchildren; and four great-grandchildren. She is preceded in death by her parents; husband, Kermit; and sister, Lillian M. Doeding (Bob). MATTOON — Darrell L. Adams, age 80 of Mattoon, IL passed away at 4:31 p.m., Friday, January 4, 2019 at Sarah Bush Lincoln Health Center in Mattoon, IL. A funeral service in his honor will be held at 10:00 a.m., Wednesday, January 9, 2019 at Mitchell-Jerdan Funeral Home, 1200 Wabash Avenue, Mattoon, IL 61938; Reverend Kevin Wolfe will officiate. Burial will immediately follow in Dodge Grove Cemetery. A visitation will be from 4:00 p.m.-8:00 p.m., Tuesday, January 8, 2019 at the funeral home. Darrell was born July 3, 1938 in Cooks Mills, IL the son of the late Raleigh G. "Gus" and Bessie L. (Wright) Adams. He married Vera J. Epperson on April 11, 1980 in Mattoon, IL. Darrell is survived by his loving wife, Vera Adams of Mattoon, IL; four children, David Adams and wife April of Lowdi, CA, Steve Adams and wife Becky of Cooks Mills, IL, Rick Adams and wife Jacklyn of Invernes, FL, Leanne Shain and husband Chuck of Cooks Mills, IL; two step-children, Richard Epperson and wife Sally of Entiat, WA, Kimberly Bitting and husband Sean of Charleston, IL; thirteen grandchildren; two great-grandchildren; and two brothers, Roger Adams and wife Hanna of Gaylord, MI, Raleigh Adams and wife Sherry of Elizabethtown, KY. He is preceded in death by one brother, Larry Adams; one sister, Marsha Wallace; and stepson, Rod Epperson. Darrell was a former employee of Pepsi Cola and previously employed by R.R. Donnelley for over twenty years before his retirement. He was a member of Broadway Christian Church in Mattoon, IL. Darrell was a skilled carpenter, enjoyed fishing, gardening, and an avid Chicago Bears and NASCAR fan. Darrell always had a smile on his face and a twinkle in his eye. He was adored all who knew him. Darrell's family was his pride and joy. He was greatly adored and his precious memory will be cherished forever. Memorials in Darrell's honor may be made to Broadway Christian Church, 1205 S. 9th Street, Mattoon, IL 61938. Please visit www.mitchelljerdan.com or www.facebook.comitchelljerdanfuneralhome to light a virtual candle in his honor or share a memory with the family. WINDSOR -- Carol Ann Anderson, 83, of rural Windsor passed away Sunday, January 6, 2019 at her home. Visitation will be Tuesday, January 8, 2019 at Lovins-Lockart Funeral Home in Windsor from 10:00 a.m. until 12:00 p.m. Funeral service will be at 12:00 p.m. Tuesday at Lovins-Lockart Funeral Home, Windsor. QUINCY -- Samuel D. (Sam) Wood, age 92, passed away Sunday, December 30 at the Arbors in Quincy, Illinois. Sam was born November 13, 1926 in Slater, Missouri to Samuel and Margaret (nee Ballantine) Wood. His family moved to Taylorville in 1937, where his father found work at the C&IM Railroad and where Sam made many lifelong friends. He graduated from Taylorville High School in 1944 and immediately joined the US Navy. He served in the Pacific as a radio operator and gunner. Following discharge, he returned to Taylorville where he met and married the love of his life, Betty Wilcox in 1954 and joined the large Wilcox clan. Theirs was an enduring marriage of 64 years, an inspiration to all. Together, they raised three children, Jane, Jim and Janet. Sam began his career with CIPS in 1956 as a meter reader and rose through the company, with positions in Charleston and Watseka before finally retiring as Area Superintendent in Mattoon in 1989. He and Betty resided in Mattoon for 41 years until health issues moved them to Quincy. He was preceded in death by two men he considered his brothers, Dale Jacobs (Springfield) and Bud Bower (Charleston). He is survived by wife Betty; children Jane (David) Fleming, Jim (Angela) Wood, and Janet (Bob) Kohlbecker. He leaves nine grandchildren who adored him and eight great-grandchildren. Graveside services will be held January 12th at 1:00 at Oak Hill Cemetery in Taylorville. A luncheon will follow at the VFW in Taylorville. Donations can be made to the Mattoon Salvation Army. CASEY -- Adam Clayton Reed, age 32, of Casey died at 10:25 p.m. on Thursday (January 3, 2019) in Casey, the result of a train pedestrian accident. Arrangements are pending at Markwell Funeral Home, Casey. MATTOON -- Sally Marie Smith, 84, of Mattoon died at 1:52 p.m. Thursday (Jan. 3, 2019) at her residence. MATTOON -- Donna Dean Homan, age 92, of Mattoon, IL passed away early in the morning of January 1, 2019 at Morning Side Assisted Living in Laurel, MD. Graveside Services honoring her life will begin at 2:00 p.m. on Tuesday, January 8, 2019 at Calvary Cemetery, Mattoon, IL. Schilling Funeral Home is assisting the family. Donna was born on July 18, 1926 in Charleston, IL, the daughter of Chester and Ethel (Buffenmeyer) Irby. She married Burnett Homan on July 1, 1946. He preceded her in death on August 30, 2010. Survivors include her loving children, Gregory Homan of Big Spring, TX and Diana Moore of Laurel, MD; grandchildren, Michelle Homan-Seghier of Big Spring, TX, Kerri Gates-Constantine of Clarksburg, MD and Kristine Gates-Gibbs of Annapolis, MD; great-grandchild, Grady Constantine of Clarksburg, MD; brother, Gary Irby of Adelphi, MD; nieces and nephews, Hannah Irby of Brooklyn, NY, Emma Irby of Philadelphia, PA and Grayson Irby of Boulder, CO. Donna was preceded in death by her parents, husband and sister, Jeannie Irby. Donna and Burnett spent their lives dedicated to raising their family. They enjoyed traveling, listening to music and dancing. Together they shared a community of friendships in Mattoon. She will be greatly missed by all who knew her. Online condolences may be expressed at www.schillingfuneralhome.net or Schilling Funeral Home's Facebook page. MATTOON -- Annabelle Turner, age 88, of Mattoon died at 10:25 p.m. on Wednesday (January 2, 2019) at Mattoon Healthcare. Arrangements are incomplete. Schilling Funeral Home is assisting the family. ARCOLA -- Norma Jean Hudson, 86 of Arcola died at 8:50 a.m. on Thursday (January 3, 2019) at the Arthur Home. Arrangements are incomplete at the Edwards Funeral Home in Arcola. 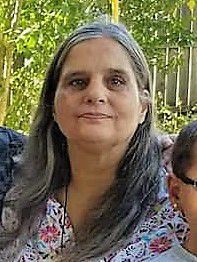 MATTOON -- Andrea Bell, 62, of Mattoon died at 9:13 a.m. Wednesday (January 2, 2019) at Barnes Jewish Hospital in St. Louis, Mo. LAUREL, Md. -- Donna Dean Homann, 92, of Laurel, Md. died at 5:20 a.m. Tuesday (Jan. 1, 2019) at Morning Side Assisted Living in Laurel. ASHMORE -- Cynthia “Susie” (Hamilton) Carlen, 75, of Ashmore, Illinois, passed Tuesday, January 1, 2019 at Carle Foundation Hospital, Urbana. Susie was born to Jesse and Bessie (Warman) Hamilton, November 22, 1943, in Charleston, Illinois. She was married to Larry Lee Carlen and they lovingly spent the last 30 years together in Ashmore, Illinois. Known by most as Susie, she owned "The Place" in Ashmore from 1972 until she retired in 1994. She was loved by her customers and a well-respected business owner in the community. She later worked at Walmart in the Jewelry Department for seven years. During her retirement, she enjoyed antiques and jewelry, RV travels throughout the Southwest, West Coast, and many more states. But most of all she truly loved to spend time with her grand & great-grandchildren. Susie is survived by her spouse Larry Carlen, and four children: Teresa Jewell, Jimmy (Tina) Winnett, Tommy Stine, and Jennifer (James) Myers. Step Children: Kelly (Dave) Bixler, Cindi Carlen, and Stacy (Jay) Carlen. Fourteen grandchildren, nine step-grandchildren, twenty-one great-grandchildren, and ten step-great-grandchildren and nephew Robin (Brenda) White also survive. Her graveside funeral will be held at 2:00 p.m. Saturday, January 5, 2019 at Fairview Cemetery, rural Kansas, with Reverend Daniel Carlen officiating. In lieu of flowers, memorials in her honor may be made to St. Jude’s Children’s Research Hospital or St. Joseph’s Indian School. Arrangements: Caudill-King.